This popular and well-loved festival is a must visit for those who love food. The Exeter Food and Drink Festival is held every year in the scenic grounds of Exeter Castle Courtyard and Northernhay Gardens. It combines delicious dishes with top food demonstrations from famous chefs and throws in some music during the night too. By day, it's all about food. The festival's main focus is to celebrate all the food and drink of the South West. Pallets of all tastes will be in their element amongst more than 100 regional chefs, food producers, workshops and food-themed activities. A wander through the stalls and marquees will leave the senses tingling. In the chef demonstrations, there's much to be learnt about how to best prepare and cook local delicacies. 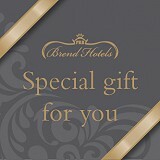 Our own Dez Turland, Group Development Chef at Brend Hotels, has attended the event in the past. Whatever your plans for The Exter Food and Drink Festival, why not incorporate a visit to the North Devon coastline too? Whether you're swinging by Exeter first or want to experience the whole weekend, we recommend taking the time to visit this mouth-watering event before coming to Barnstaple where your luxury Royal & Fortescue accommodation awaits.